We temporarily take a break in your scheduled wedding, engagement and senior photography to bring you the continuation of our “at night” series. The first you can find here – “Night Time in Venezia” – here we show a few of our favorite images from Paris. 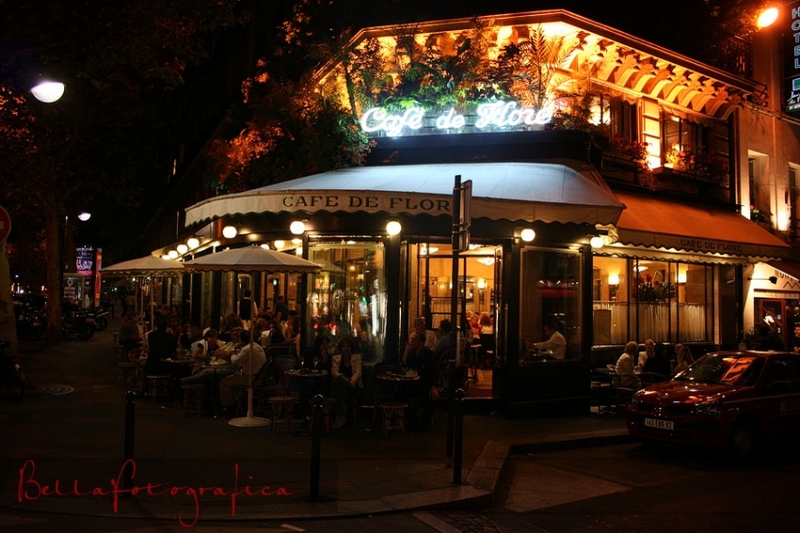 Once you get off the main thouroughfares and into the neighborhoods, it quietens down considerably and you can enjoy a nice caf� at places like Cafe De Flore, one of the most famous of the literary caf�s on the Left Bank, a favorite hangout for Sartre, Ernest Hemingway, Truman Capote, and various other intellectuals and writers. We stumbled upon the place walking from la tour eiffel along Boulevard St. Germain to our hotel – yes, we were a bit lost, but we were heading in the right general direction and we were in Paris, so what if we took an extra 5 hours – a cup of chocolat chaud (liquid heaven), a croissant, and we were fueled for the rest of the stroll. Our hotel was amazing, snuggled right in between Mus�e Du Louvre, a courtyard, and Palais Royale; you can look along one of 5 boulevards that circles it and see the Opera House in one direction, the Arc de triomphe du Carrousel in another, or a million other places too amazing for words. You can’t jeter une pierre (throw a rock) without hitting hundreds of years of history and art. Paris is special to us, since we got engaged in the shadow of the Eiffel Tower and returned for our first anniversary. Gentlemen, if you ever get the opportunity… by any means necessary, share the city of love with the one you love. You’ll not regret it. 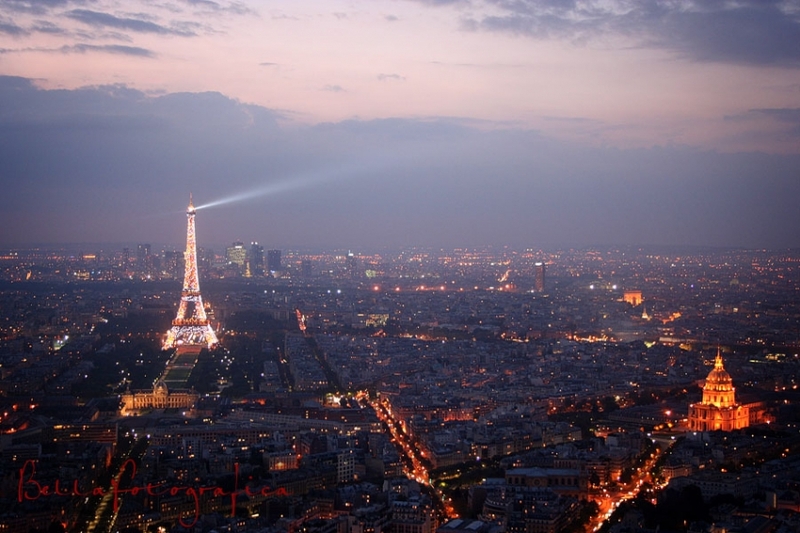 Beautiful Parisian images – I wanna go! Wow, these photographs of Paris are simply amazing. I love the treatments you put on them too. They are so warm and romantic. It makes me want to just catch the next flight out. Beautiful use of ambiant light! What georgeous photographs of Paris! 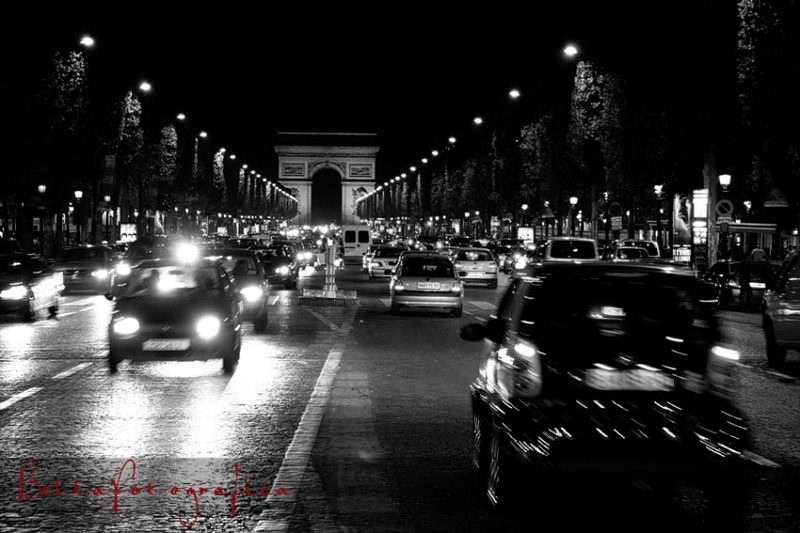 You must have such fun photographing in the City of Lights. Beautiful. I adore Paris and you’ve captured the theatric atmosphere of the place beautifully, especially with the Cafe de Flore and Place de la Concorde images. First time visitor to your site but I’ll be sure to return soon. .-= Allen�s last blog ..Johnna and Adam�s Engagement =-. The first shot is AMAZING. I studied in France when I was 18, and at the time I had a point and shoot Kodak. I had no idea how to take photos, but if I did, I would have tried to make something as beautiful as these. Where were you standing to take that first photo? I can’t figure it out for the life of me…unless it was shot from a plane? That second shot just reminds me why I love travelling with my g10!